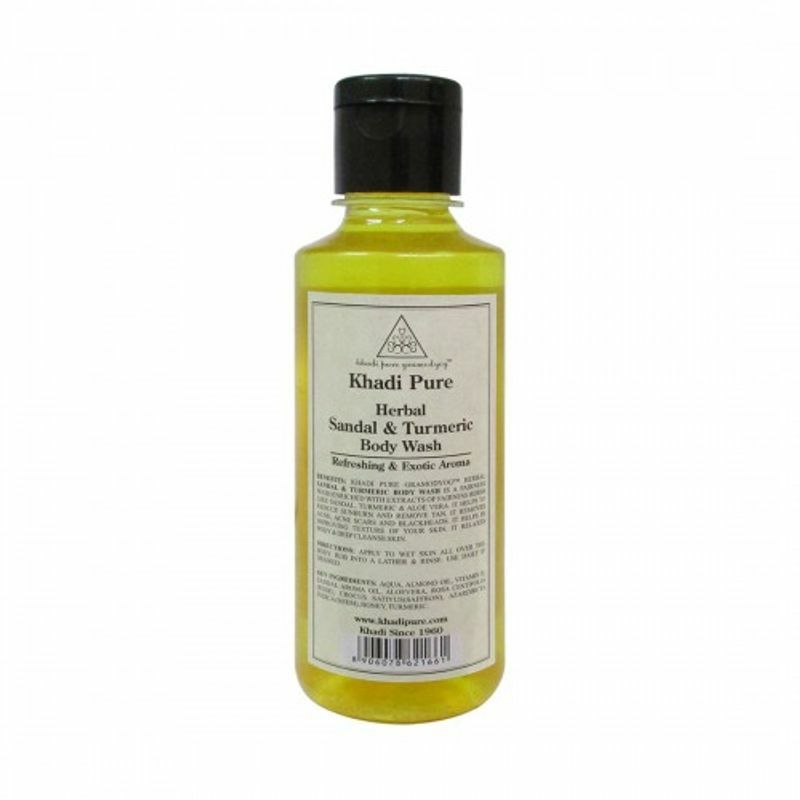 Khadi Pure Gramodyog Herbal Sandal & Turmeric body wash is a fairness wash enriched with extracts of fairness herbs like Sandal, Turmeric & Aloe Vera. It helps to reduce sunburn and remove tan. It removes acne, acne scars and blackheads. It helps in improving texture of your skin. It relaxes body & deep cleanse skin. Explore the entire range of Shower Gels & Body Wash available on Nykaa. 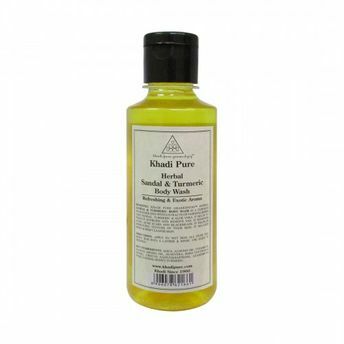 Shop more Khadi Pure products here.You can browse through the complete world of Khadi Pure Shower Gels & Body Wash .